How to cook collard greens is a very serious topic that needs to be discussed. In the South cooking collard greens is an art form. 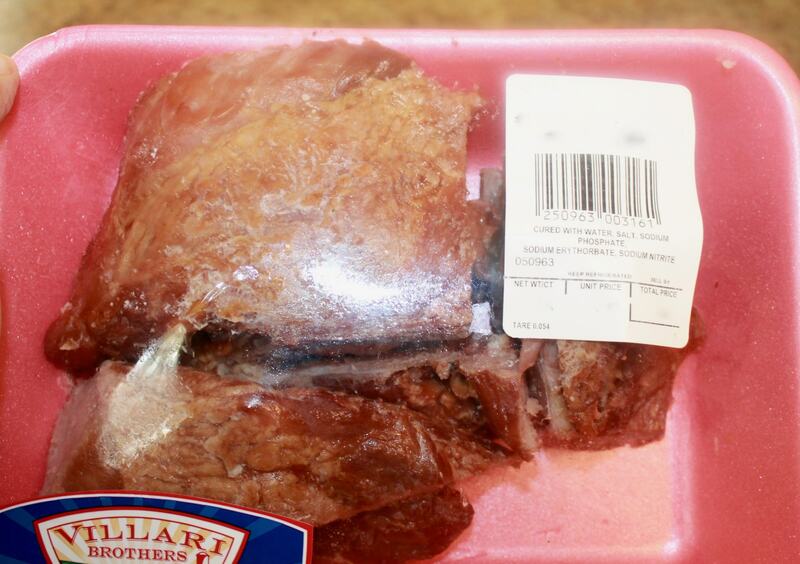 In fact, there are a couple different ways to cook them, but many of those ways are incorrect. There is a misconception that you have to add onions, garlic, vinegar, and countless other pointless recipe items. Honestly, for a good pot of greens the only seasonings needed are salt( as needed), pepper, and some type of cured meat to flavor your greens. 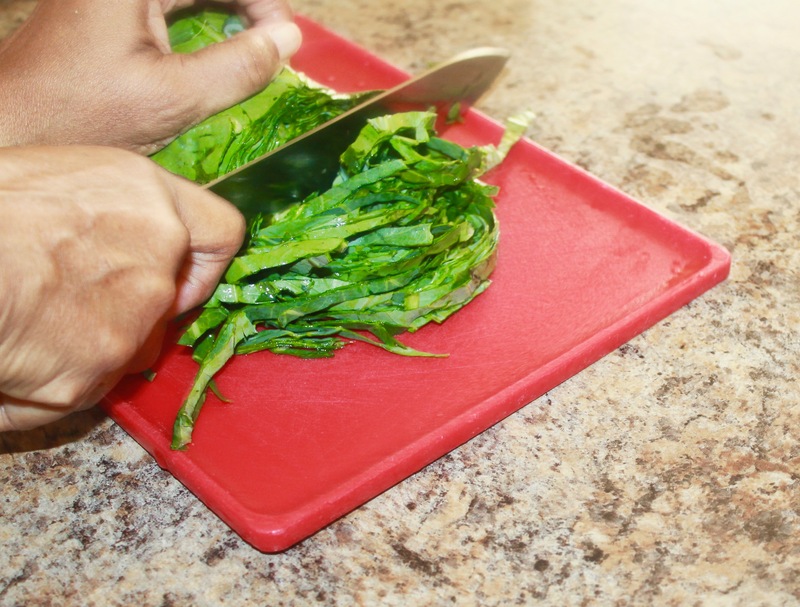 In this post, I’m going to share the proper way to cut, prepare, and cook collard greens. Over the years I’ve noticed, people do not know how to properly prepare their collard greens. You’re not supposed to tear them off the stalk that’s disrespectful. You have to make them with love and cut them up tobacco style. Keeping reading for the instructions of how to prepare collard greens and the beautiful finished southern staple. As always before we can cook anything we need to make sure that we have a list of our ingredients. Since we’re cooking a pot of greens, our list of ingredients is going to be short. 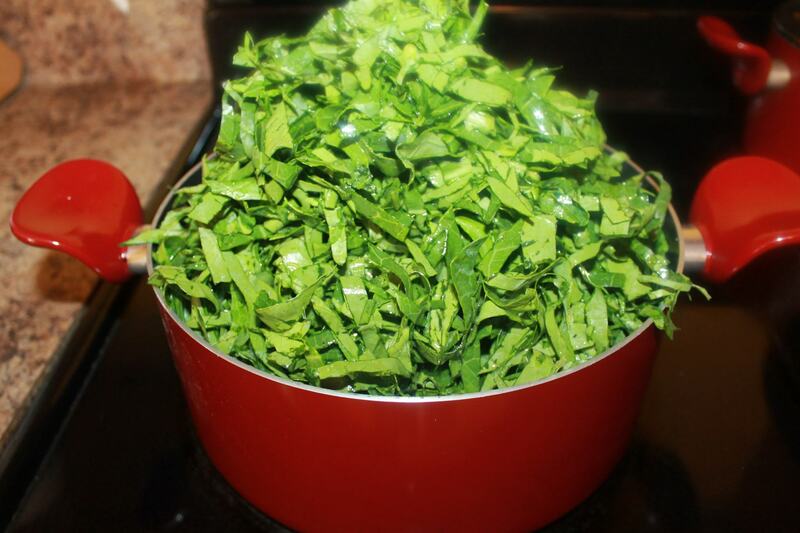 Before we can even begin to cook our collard greens we must throughly clean them. 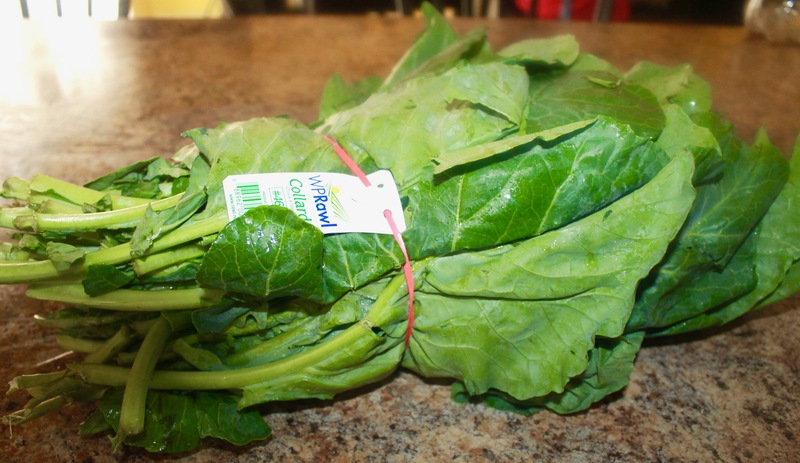 Collard greens come straight from the soil and dirt, so it’s important that you wash them. You may even have to wash them a few times, and that’s ok. It’s imperative that they’re clean, before we can begin to cut them. 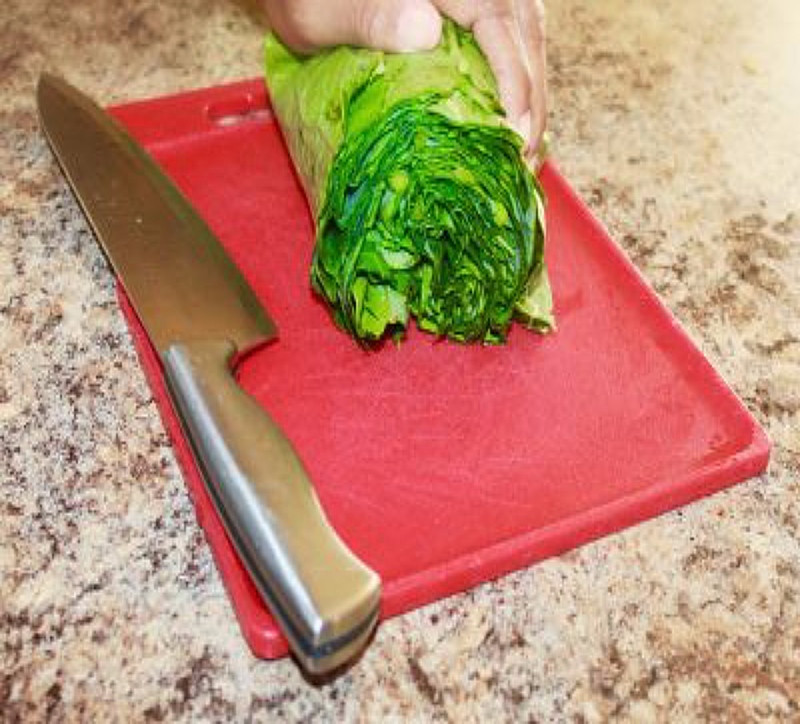 Once you have throughly cleaned and de-steamed your collard greens you can begin to properly cut them. 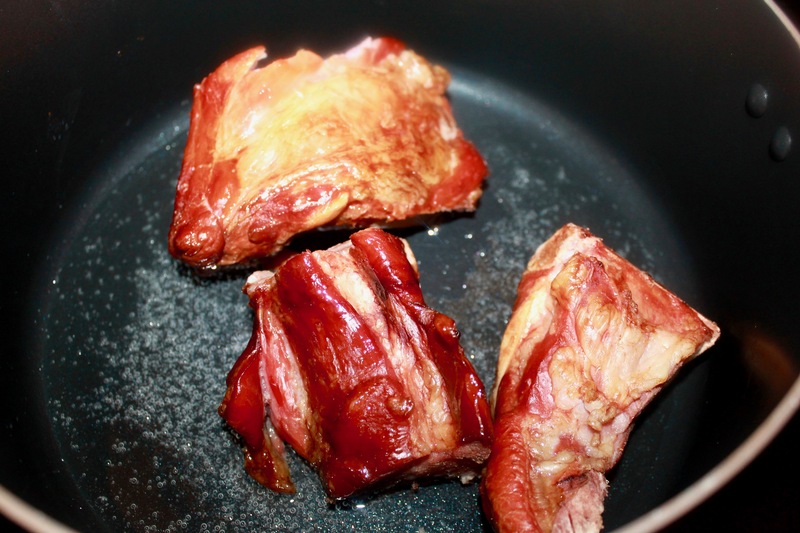 You roll your collards tobacco style, and then you began to cut them any way you choose. I prefer to cut them into thin strips, because it’s more aesthetically pleasing to the eye. 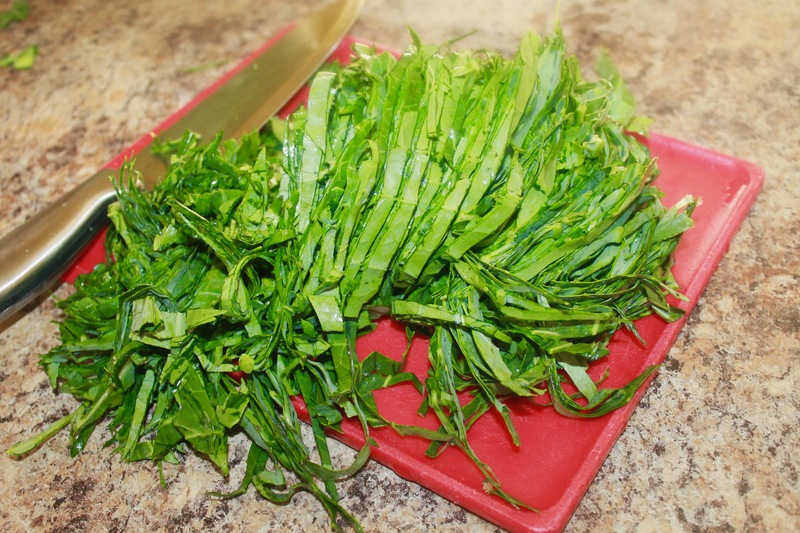 Once we’ve finished cutting our collard greens, we can finally begin to prepare our cured meat. 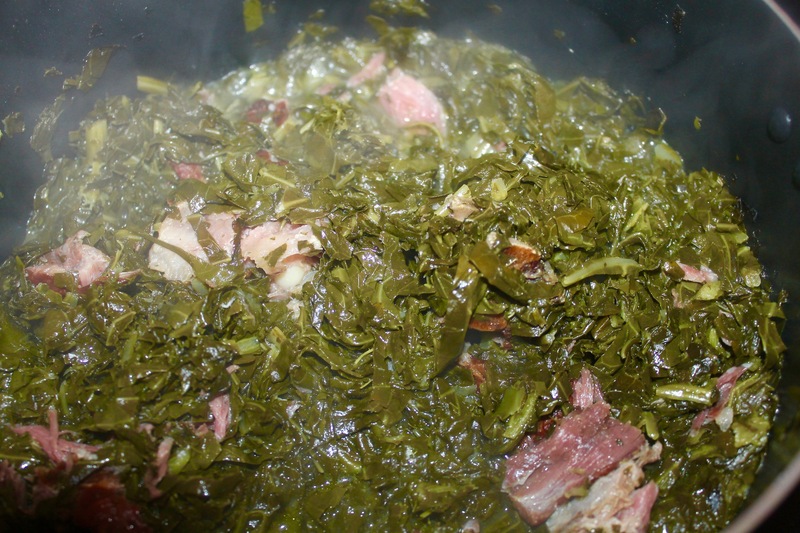 I personally always like to add smoked neck bones to my collard greens. The cured meat adds a great deal of flavor to your greens, and it reduces the amount of salt that you need in your greens. As your pan is heating up, you need to add 1 tablespoon of vegetable oil. We just want a nice sear to our necklines, and add some crispness to them. 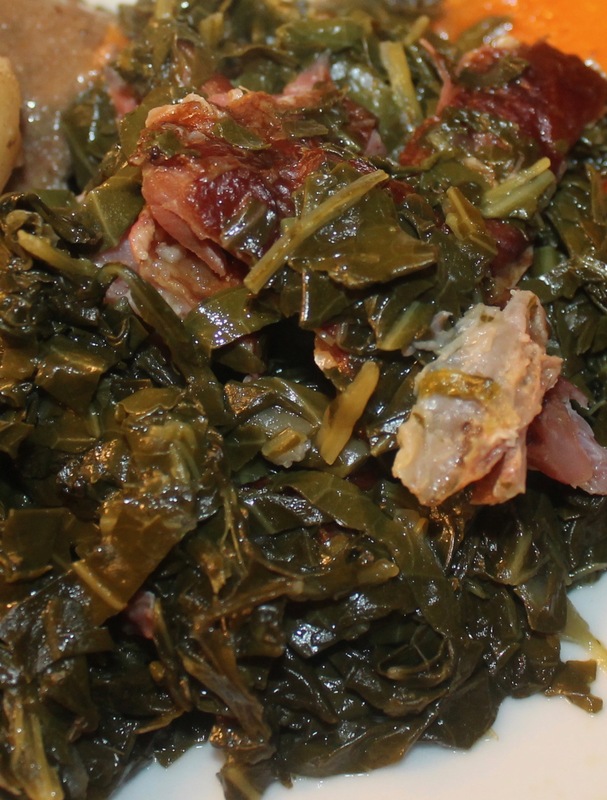 Now, that our neck bones have seared, we can finally add our collard greens. Add a cup of water, a pinch of salt, and pepper cover with lid, and allow to cook on medium heat to your desired tenderness. 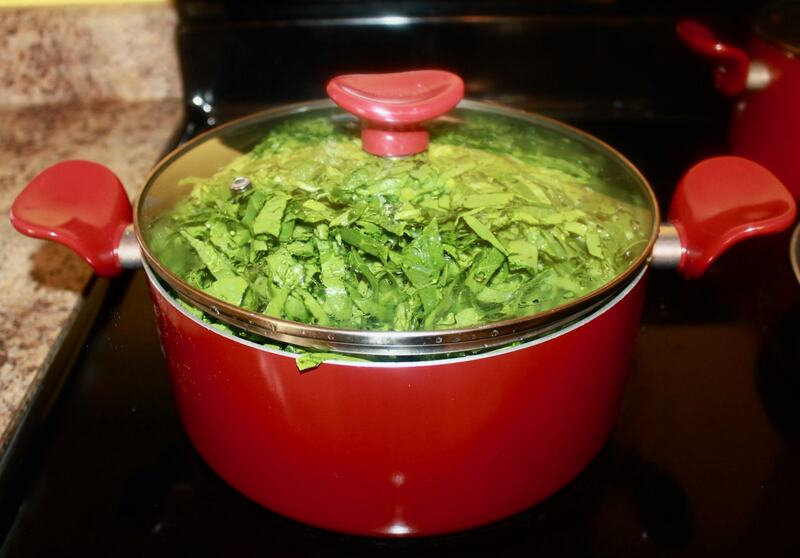 You will cook your collard greens for about 45-50 minutes on medium heat. 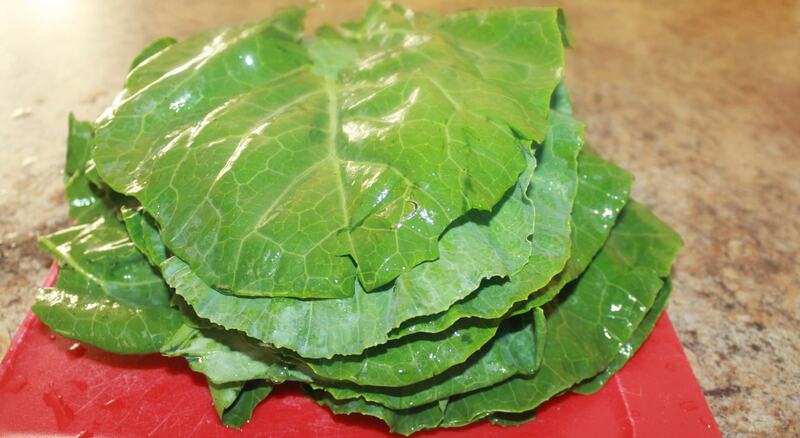 Once your collard greens are done they will be ready to enjoy. So I don’t know about y’all, but I don’t always need a meat to go with my greens. However, if you really need one feel free to check out my Southern Style Hot Wings recipe, which can be found here. 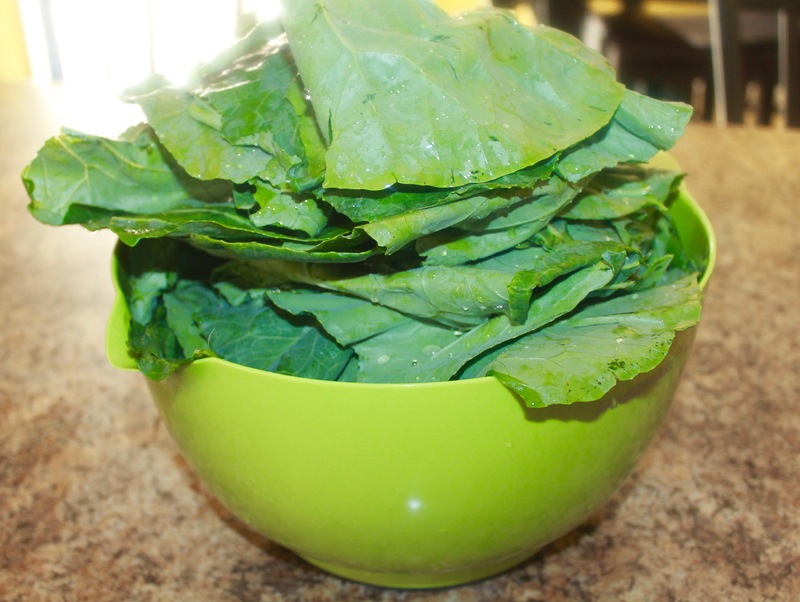 I hope you enjoyed this delicious and easy collard greens recipe. Feel free to let me know what you think in the comment section. Hope ya’ll have a wonderful day!